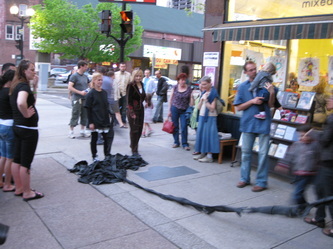 Sorry began as a street performance in which a length of rubber gloves were stretched the length of a city block between two performers. 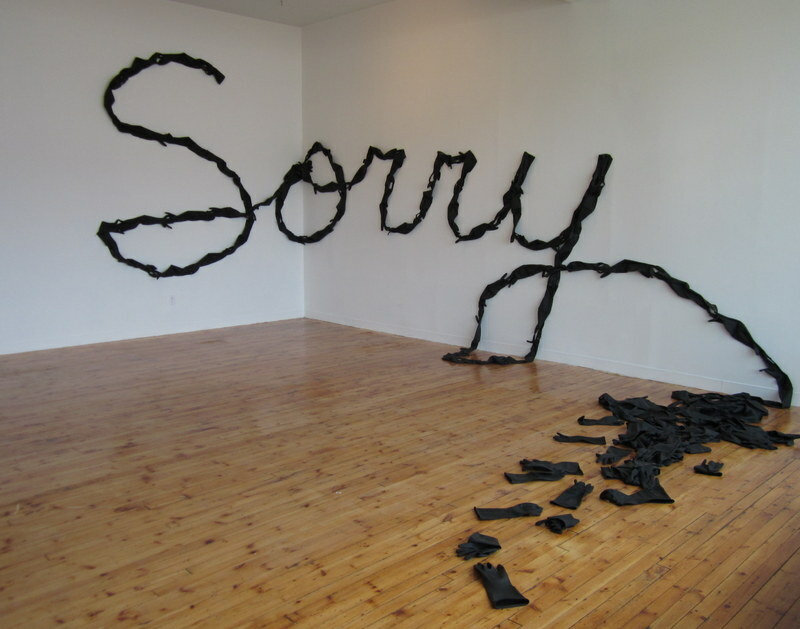 It was subsequently presented as a wall mounted text piece spelling out the word Sorry. 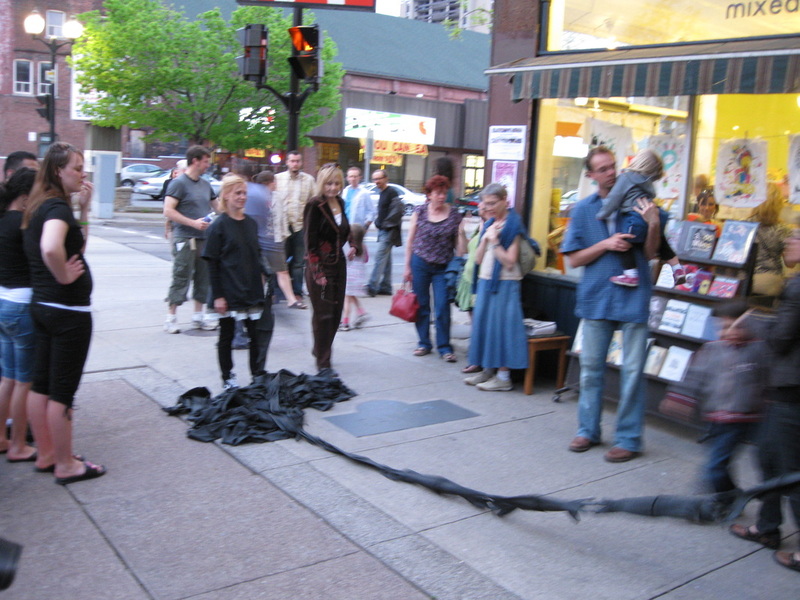 First performed in 2010 with Anne Milne.